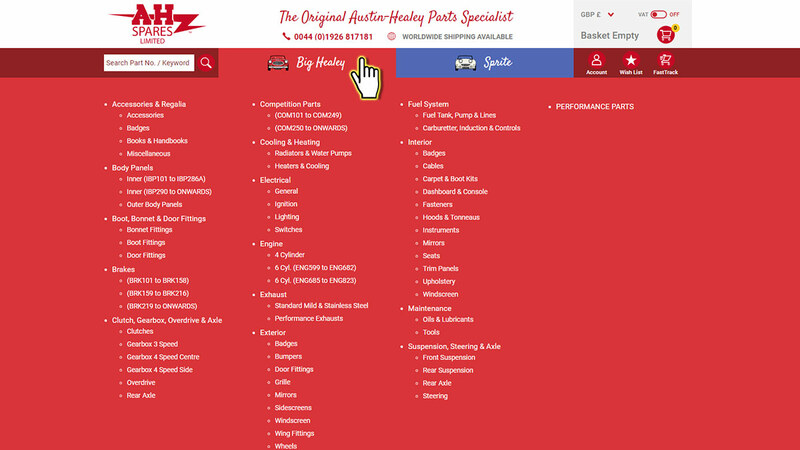 Part of our revamp was to reorganise our product sections into more efficient categories and sub-categories so everything is presented to you in one go without having to scroll your screen. 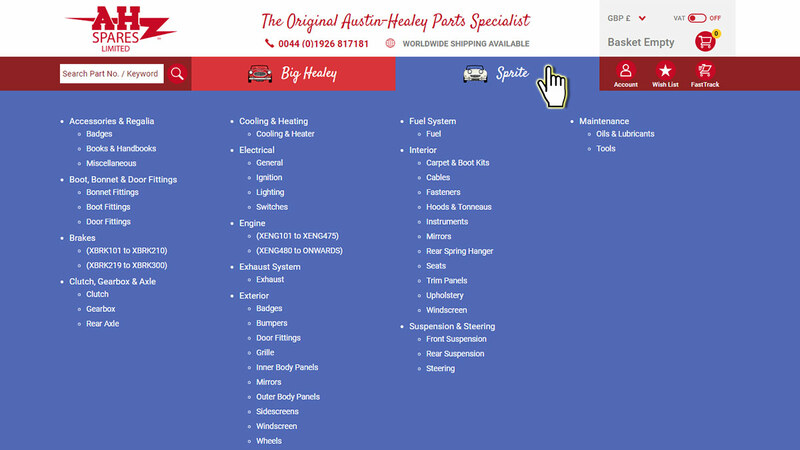 This change was also important to make sure our Austin-Healey and Sprite product categories would display clearly on your mobile and tablet. 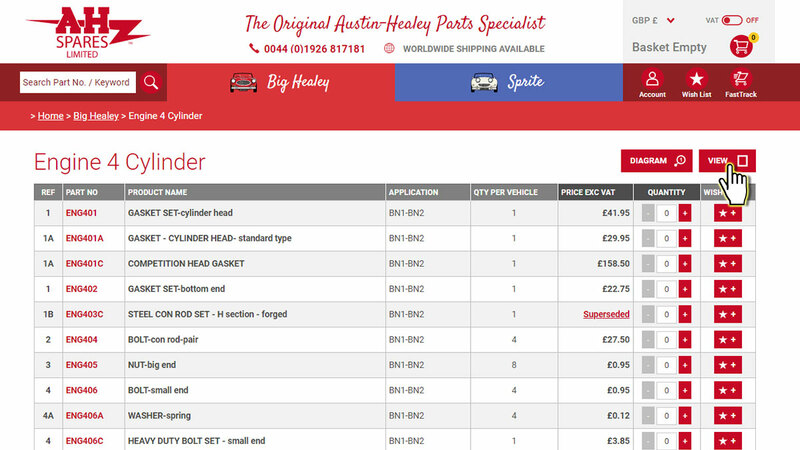 Moving your cursor over the Big Healey or Sprite headers on your desktop will reveal their product categories and sub-categories. On your mobile/tablet, tap the Big Healey or Sprite headers to open the drop-down category list; tap them to open the sub-categories. 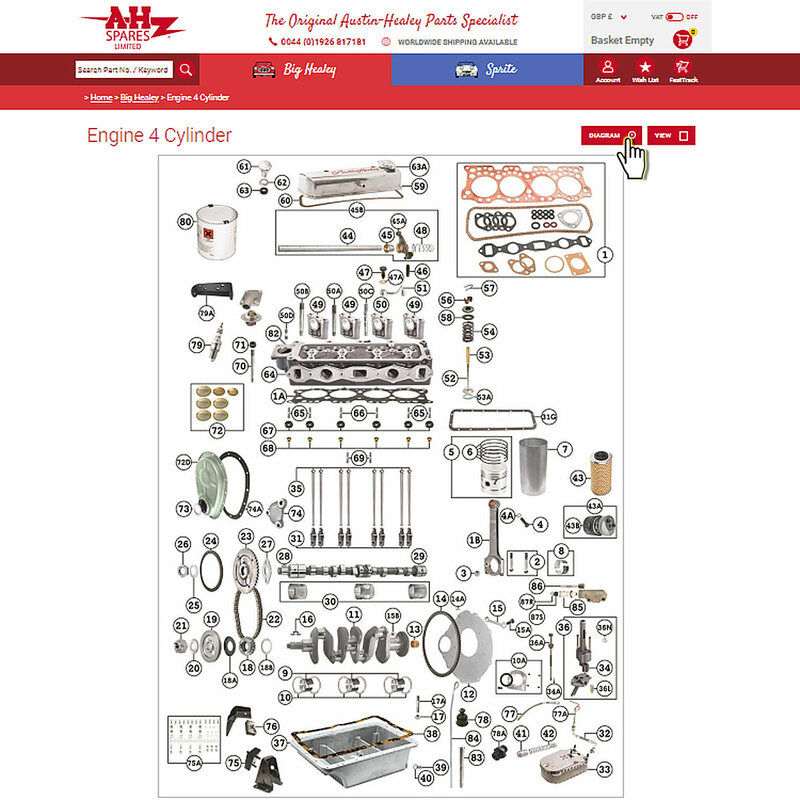 After selecting your category, (in this example the Engine 4 Cylinder) our Austin-Healey parts are presented to you in an image grid layout. You have the option to change this to a list view by clicking the "View" icon on the top. 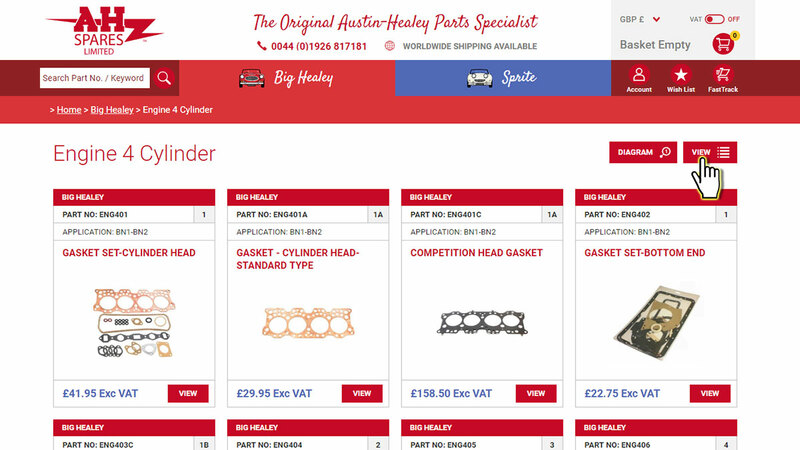 We've changed the product diagrams so the layout is now identical to the hard copy parts catalogues. 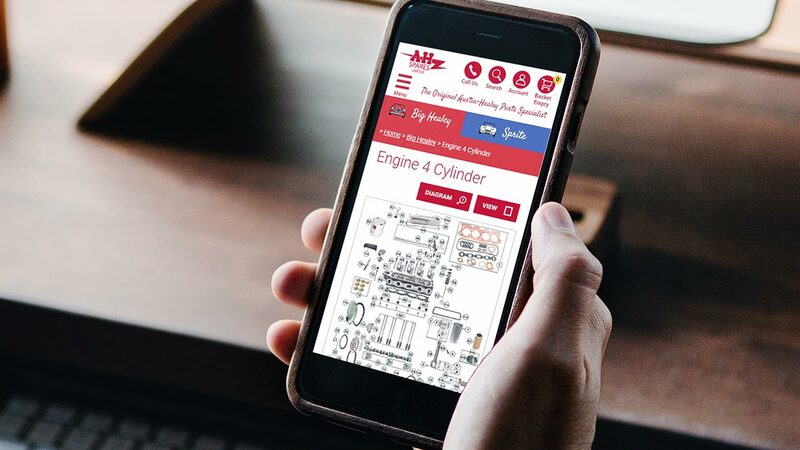 Clicking on the "Diagram" icon at the top of the screen will open the product diagram image on the same screen so you can easily reference the part you are looking for. 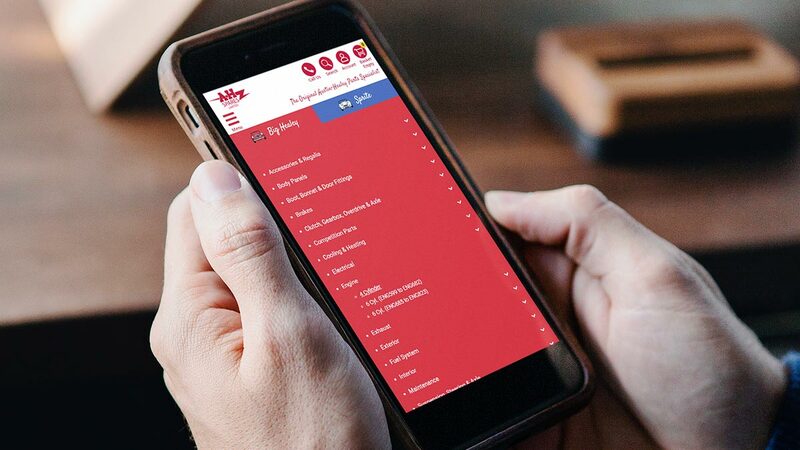 These options are also available on your mobile/tablet; just tap the corresponding icons to toggle the grid and list views, and also the product diagram. 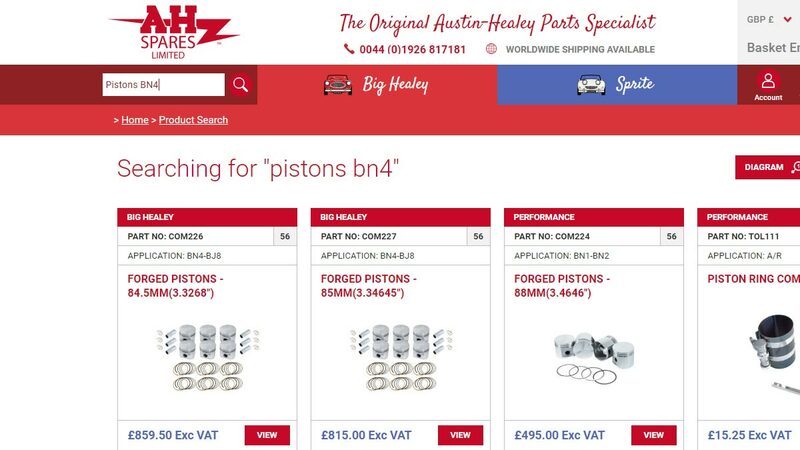 Of course, you can always use the search box to look for the parts you need; just type the name or part number of the item you want. 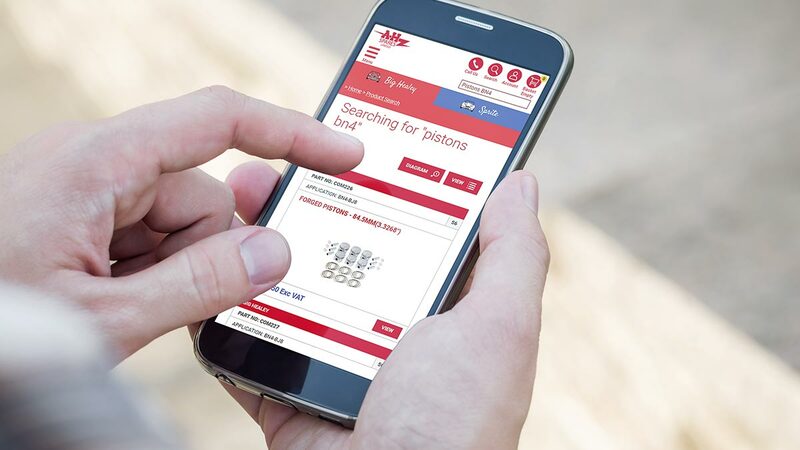 On your tablet or mobile device, click the magnifying glass icon and type the product name or part number of the item you're looking for in the text box. 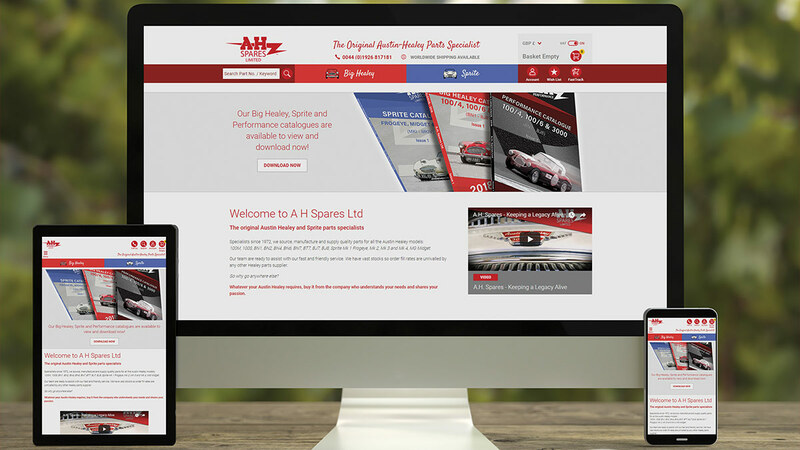 Our team are always happy to help with your queries; please contact us if you have any further questions regarding our new website or your Austin-Healey spares order.